We are a married team of Real Estate Brokers with decades of combined experience. With this kind of strong background, we bring the tools necessary to facilitate smooth transactions and loyal customers. We have recently moved our office so that we can better serve our buyers and sellers. We're now located at 145 N. Bent St. in Powell, but we work the Cody and Lovell markets as well. We're both Park County natives and we know the area well. We'd love to share our expertise with you and learn about your individual needs. Call anytime... we work evenings and week-ends too... whatever it takes to "get 'er done!" Larry Hedderman, Broker, is a Park County native and knows the area well. 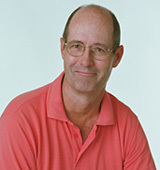 He enjoys working with buyers and sellers but specializes in property management. He has a varied background in the minerals industry, the insurance and financial arena, county government, and the construction trades. He served as Park County Commissioner from 1991 to 1995 and knows state and county land use issues and regulations. He is committed to honest, professional, personalized service. Gloria Frisby Hedderman is dedicated to providing the best real estate services in the Big Horn Basin. She founded Wyoming Real Estate Network in March of 1996 and her years of experience will benefit you whether you're buying or selling. 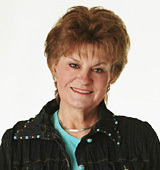 Gloria was named "Realtor of the Year" by the Park County Board of Realtors for the year 2000. She is a Park County native and graduated from Cody High. She holds a Bachelor of Arts degree from the University of Wyoming majoring in English and Journalism. She and husband, Larry, have two grown daughters, Josie who lives and works in Cody and Anne who works in Laramie, WY and Patagonia, Chile. Gloria has been a licensed real estate agent since 1973 and obtained her Broker's license in 1983. She is Past President of the Park County Board of Realtors and holds her GRI (Graduate Realtors Institute) and CRS (Certified Residential Specialist) degrees. She served six years on the Powell School Board and five years on the Northwest College Board of Trustees. She was a founding member of the Powell Schools Foundation and still remains on the NWC Foundation Board. She is a Past President of Rotary and served several years on the Board of the Park County Arts Council. She currently serves on the Wyoming PBS Foundation Board. Gloria is an active member of the Park and Big Horn County MLS (Multiple Listing Service). Gloria is dedicated to providing exceptional customer service in a confidential environment. Call today for a no pressure, no hassles real estate consultation conducted in the spirit of the Golden Rule.